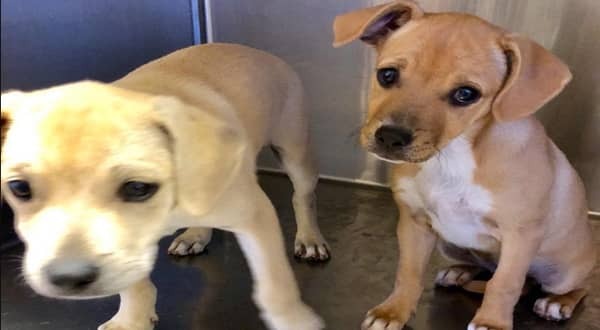 These teeny tiny babies have not had anyone wanting to save them... unfortunately, they are 3 days past their stray hold and will be euthanized very soon. They have been there close to the longest and the shelter is full. They are literally not even 4 months old yet and will be euthanized all because someone couldn’t spay their dog. Please share in hopes that someone sees this before it is too late. CALL THE SHELTER FOR MORE INFO! Voucher for spay/neuter inside city limits), Microchip, and shots. 1 Response to "13 week old are set to die because no one care, 2 tiny babies have not had anyone wanting to save them"
Did Anyone step up and save these precious souls ?? ?